Created, designed and build by Nikolai Zykov in 1983. Height: 90 cm / 35 in. Materials: papier-mache, foam plastic, foamrubber, metal wire, fabric. The puppet was built on September 3, 1983. The puppet has the first originally constructed iron wire skeleton. New construction reduced the weight of marionette in several times and opens new possibilities for this type of puppets. 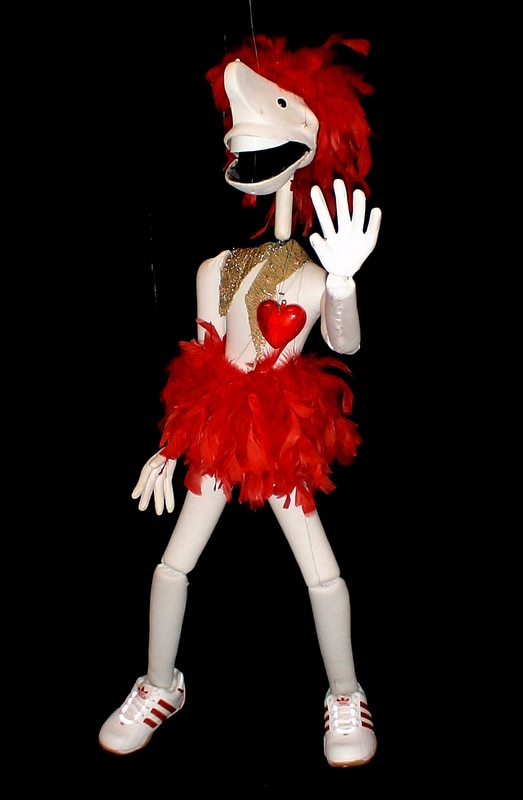 This puppet with the song "Burattino telecomandato" was very popular in the eighties and took part in many shows of Nikolai Zykov and in many TV shows. See PHOTO ALBUM of ITALIAN SINGER.